He also acts in an advisory role for several UK and US based Private Equity houses. Until 2007 he was Chief Executive Officer for CBS Outdoor’s International division, overseeing a team of over 2,500 employees across Europe and Asia, with revenues of approx. $800m posted in 2006. Prior to his seven-year term at CBS he worked (at C.E.O. level) for several major UK and International Out of Home Media companies including Viacom, Metro Advertising and Maiden Outdoor. Recently he was the lead Executive Producer on a full-length feature film called Gholam (www.gholamfilm.com) which was premiered at the EEFF (East End Film Festival) and plans to become more active in this Arena. Tom is a member of the London and Euro Chapters of the Young Presidents Organisation (YPO Gold) www.ypo.org and also a member of C.E.O. www.ceo.org. He lives in the Westminster with his wife Diana and has three grown up children. 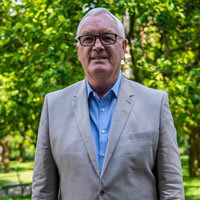 John joined the OOH industry with London + Provincial Poster Group in 1968 becoming main Board Director in 1977, also joining the Board of Adshel Ltd, a joint venture with More O'Ferrall. 1981 he joined Dennis Sullivan at specialist Portland Outdoor advertising. 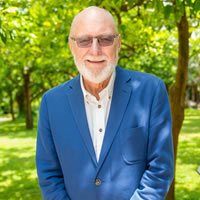 In 1995 he joined Poster Publicity where he developed the International division and opened 18 offices worldwide. 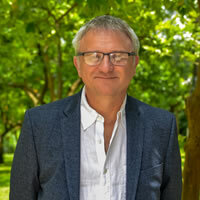 Having been involved in FEPE - the now Global OOH Association, - since 1970, he became consultant and Executive director in 2005, where he continues. He is also Global advisor to AYUDA Systems. 30+ years experience in Outdoor Advertising/Out of Home Media, 10 years on the specialist buying side and 14 years self employed as an OOH media owner. Taking care of business on a daily basis on behalf of the FEPE Board of Directors. Growing the FEPE membership to create a fully inclusive organisation for OOH companies globally. Mark is married with two children and lives in Amersham Buckinghamshire. He also plays guitar in a London based media industry band, The Breaks. Richard has been working with FEPE for the last four years. 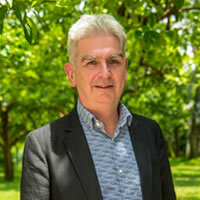 He was initially brought in to FEPE to manage the Always On Research Project but has seen his role broaden to a cover a wider Communications and Operations Remit which includes management of the FEPE awards, working with partners such as EASA, ICAS and the EFFIES as well as the National OOH Associations. Like all Team members he is heavily involved in the development and promotion of the Annual Congress particularly the Congress Exhibition. Richard is a marketing professional with experience across varied Consumer service, Travel and Hospitality industries. He also has practical business development experience as a Foodservice Controller to a range of clients in the Foodservice Sector. Richard has broadened his experience through interim, project management and consultancy work with specific focus on strategic, brand and account development, performance and profit improvement. Anna-Maria looks after all Congress logistics on behalf of the FEPE team through her independent company Global Studios, based in Milan. 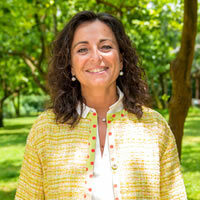 Anna has been an integral part of the FEPE executive since the Milan congress in 2012 and assists with many other FEPE functions around the congress planning, including the exhibition and sponsorship details. © Copyright 2018 by Fepe. All Rights Reserved.